Seventy years of a Stetson tradition. The ceremony took place outside Hulley Tower. 1948 was a year of both darkness and light. It was the start of Apartheid in South Africa, the beginning of a Communist Czechoslovakia, the murder of Gandhi, and the Soviet blockade of West Berlin. Yet, it was also the year of an independent Israel, the births of Donna Summer, Andrew Lloyd Webber, and Prince Charles, the origin of Scrabble, the founding of Porsche, and the first Daytona 500. 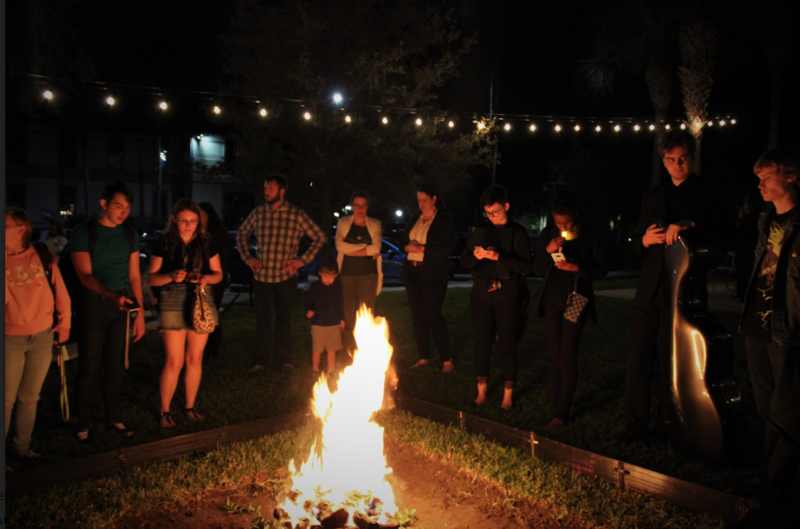 It was also the first year that Stetson University had a Yule Lighting Ceremony. It’s been 70 years since then, and the world has seen so much. Wars of religion. Inventions of mass communication. Tragedies and triumphs. Times have changed, sure. But one thing remains the same. We, as a community of religions, of beliefs, and of dreams, all recognize that in darkness there is light. The event featured singing and speakers. The flame of the 2018 yule log burning brightly! guest cast a sprig of holly into a crackling fire, representing the casting away of shortcomings and mistakes in place of encouragement for the times to come. 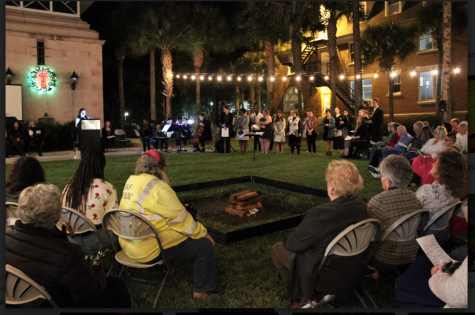 In a new addition to Stetson’s traditional ceremony, the School of Music accompanied the service with their newly formed Stetson Community Choir. This year’s Yule coincides with the 200th anniversary of “Silent Night,” the beloved Christmas carol. The choir sung “Silent Night” alongside the audience as they cast their sprigs into the fire. 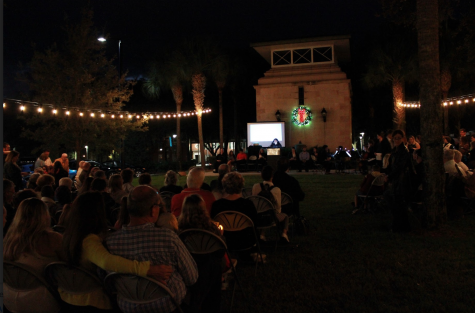 This tradition, long beloved by the Stetson community, seemed to shine even brighter this year. 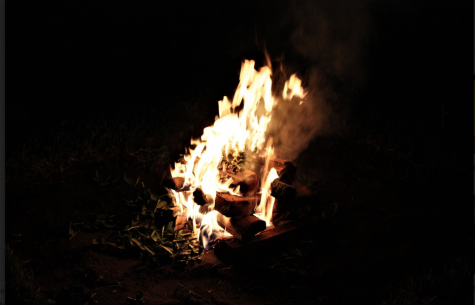 As the Yule Log burns the cast-away thoughts of the past, we welcome the light of this season. May this light find its way into your finals week and beyond into the holiday season.